New Yorkers go all out for St. Patrick's Day. Here is how to join in the fun. Break out your green attire, and channel your inner Irishman (or woman) – it's time to celebrate St. Patrick's Day, held on March 17th. New York City boasts a rich Irish heritage and is the setting for some of the most festive St. Paddy's Day celebrations in the world. We've made it easy for you to participate by listing five ways to join in the fun. 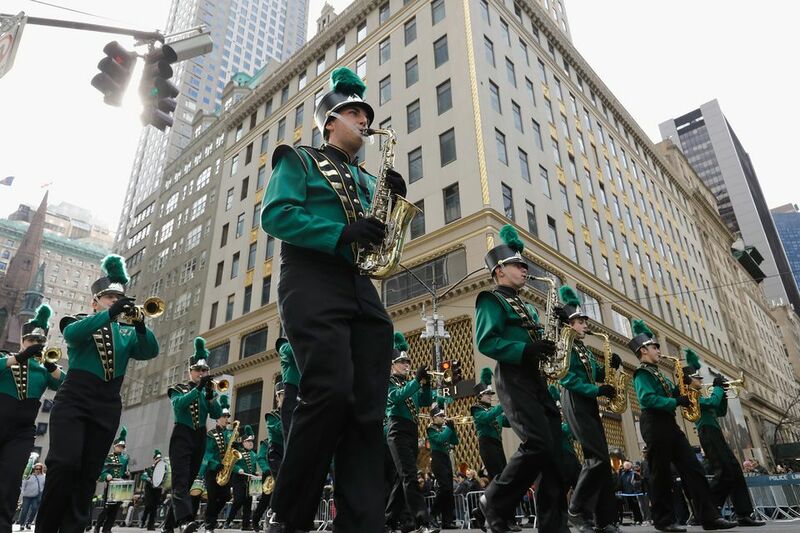 One of the city's oldest and largest parades, NYC's annual St. Patrick’s Day Parade begins at 11 am on March 17th, running from 44th Street up 5th Avenue (past St. Patrick's Cathedral) to 79th Street. A full-day affair, the revelry typically continues until late afternoon. There is a strict no float rule. Instead, spectators are treated to a lineup of marching bands, bagpipers, Irish dancers, and more. Bundle up and arrive early to get a good viewing spot along Fifth Avenue. NYC touts long and strong ties to the Irish immigrant story. Learn more on the "Irish Outsiders" tour at the Lower East Side’s Tenement Museum, which recounts the experience of a typical 19th-century Irish immigrant family (tours run daily, including St. Patrick's Day). Head over to the East Village's Merchant House Museum, set within a preserved 19th-century home that was once the home to Irish immigrations. A highlight is a special St. Patrick's Day ghost tour where you just might meet the Irish servants who still haunt the place. Consider swinging by the Irish Hunger Memorial. Located in Battery Park City it tells the story of Ireland's devastating potato famine of the 1940s. At the Irish Arts Center in Midtown the entire family can learn about Irish culture and Irish populations in America. There are dance performances, museum exhibitions, and educational classes for all ages. Check the schedule on the website.